Notes:Color X-Y Horizontal 2 Player. 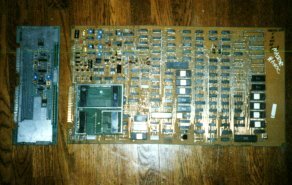 Only about 500-600 dedicated games made, Tollian Web screened on early PCB's(From Star Trek), Originally called Major Rex Havoc and contained a "Star Castle" section. Two Major Software revisions were released. More trivia is on the Alpha 1 page. This is by far my favorite Atari vector game, it has great imagination and creativity! Bravo to the Designer: Owen Rubin (Space Duel, Tunnel Hunt, Canyon Bomber, plus tidbits of code in most other games from the era) who was the 'sick' mind behind this cult classic game! If you want to find out more info on Owen, checkout his web page at http://www.orubin.com. The only problem with the game is that it has no ending(that is a fact). Hopefully in about 6 months I will be changing that! I will let the game explain itself. Eons ago the evil Vaxxian Empire overran the galaxy. Most of your ancestors were enslaved and taken to the Vaxxian homeworld. Only a few scientists escaped. Today, the Empire has all but decayed. Yet, Vaxxian space stations, controlled and defended by robots, still patrol the galaxy. 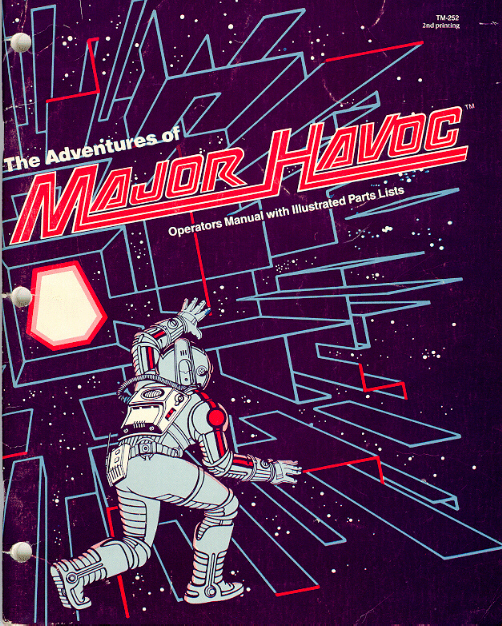 The small band of scientists cloned you, MAJOR HAVOC, to fly your Catastrofighter through a wormhole in space, to lead your clone army against the dreaded Vaxxian robots, and to free your people by destroying the enemy reactors. Well, I have been doing some hacking on this game now for about 8 years, it is a slow going project but I have added four new levels, made the game a bit easier, added speech support and done lots of little things. You can download the ROM's for my hacks so far....Version 1.8 they are always changing. Version 3 ROM Images Eliminates the finger bug in Version 2! Exiting Level 13 while "turning-on" the finger, allows you to end the level just before the reactor is shut off. If the timing is correct you will return to level 13 next time but without any enemies. -From RGVAC- Note: This only works on the older ROM Version 2.